MoneroCrusher, a pseudonymous cryptocurrency researcher has published a Medium blog post claiming that 85 percent of Monero mining activity can be traced back to ASICs. The discovery was reportedly made after analyzing Monero’s nonce distribution before and after the past few ASIC mitigation hard forks. The individual pointed out that the network’s total hash rate dropped considerably right after Monero’s developers introduced measures to prohibit the use of ASIC hardware. According to MoneroCrusher, the theoretical nonce distribution is a random number between 0 and 232. However, for a certain number of blocks prior to April 2018, most nonce selections were not randomized. Since blocks were being repeatedly mined with the same nonce, it became increasingly obvious to the researcher that a vast majority of the network’s hash rate was in control of one or very few entities. MoneroCrusher concluded that the pattern could only be demonstrated by ASIC hardware. Further lending the researcher’s theory credibility is the fact that Monero’s total network hash rate dropped considerably after the April 2018 hard fork. For the uninitiated, that update, in particular, introduced ASIC resistance by modifying the cryptocurrency’s underlying CryptoNight proof of work consensus mechanism. Furthermore, the nonce distribution pattern disappeared immediately after the hard fork, presumably as ASICs were no longer able to participate in Monero mining. 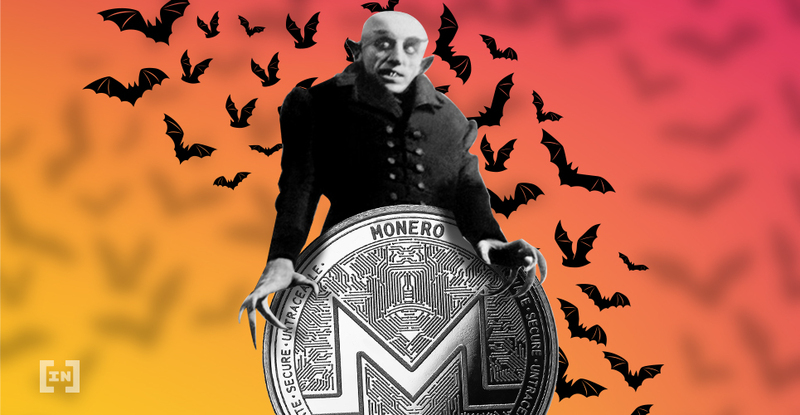 Analyzing Monero’s hash rate from June 2018, MoneroCrusher noticed that a sudden uptick in nonce randomness, which he believes is a trick employed by ASIC manufacturers to cover their tracks. However, even with random nonce picking, the analysis showed that there was a pattern to the randomness employed by ASICs. The analyst discovered that small-scale GPU and CPU miners began leaving Monero for more profitable networks towards the end of 2018, while the number of participating ASICs grew in number. Further calculations finally revealed that as much as 85.2 percent of Monero’s hash rate is completely contributed to by ASIC hardware. The researcher said that the total network hash rate currently sits at around 810 Mh/s, which is up 255 percent since ASICs returned to Monero in December of 2018. In a separate post on Reddit, MoneroCrusher proposed that the cryptocurrency’s developers deploy an emergency ‘mini-fork’ to remedy the situation. Given that only a handful of entities in the world have direct access to the newest ASIC hardware, Monero is facing the looming threat of centralization. According to the analyst, the list of possible attacks includes double spends, transaction reorganizations, rollbacks and timestamp attacks. Looks like 85% of all hashrate on Monero is ASICs, no surprise there. I lost a lot of faith in the project after they decided to “fork out ASICs”. That only centralized ASIC production and made the network more vulnerable. Do you think Monero developers should continue fighting against ASIC manufacturers? Let us know your thoughts in the comments below!